The final of the 2016 Rugby H-Cup will see the Saracens facing the Racing 92. Who will be the European Champion ? On May 14th 2016, the rugby union H-Cup final will take place in Lyon, France. Racing 92, french team near Paris and its star Dan Carter will face the Saracens, english team near London. In quarter final, Racing 92 defeated the RC Toulon team, who was the H-Cup champion three times in a row in 2013, 2014 and 2015. Then, in semi final, Racing 92 went to the Leicester Tigers stadium to get their ticket to the final by winning the home team 16-19. The Saracens beated english teams on their way to the final. First they defeated Northampton in quarter final and then the Wasps in semi final. 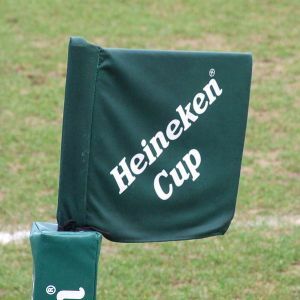 This entry was posted in Rugby and tagged 2016, final, H-cup, Racing 92, saracens. Bookmark the permalink.